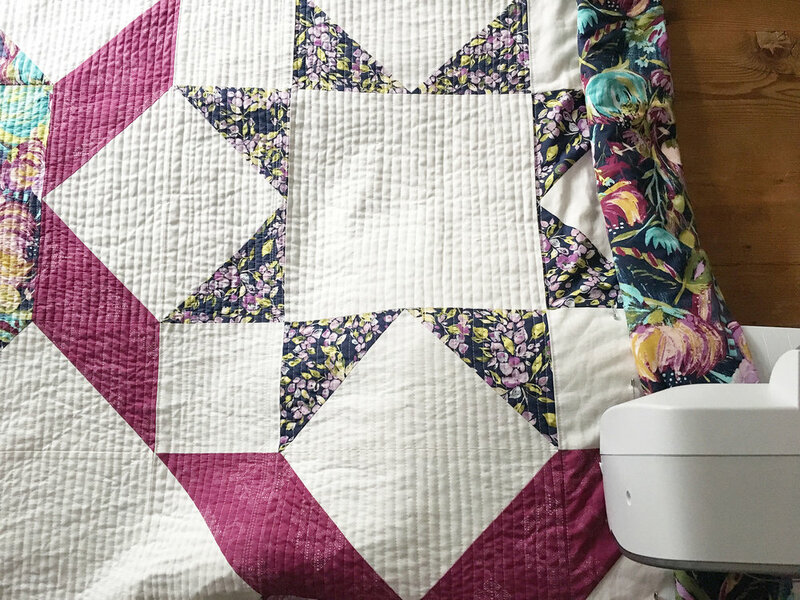 Welcome back to Week 3 of the Radiant Splendor Supersized quilt along over on BERNINA's We All Sew blog. This is the final week of the quilt along, and we will be assembling the quilt top and finishing up the quilt! I hope you have enjoyed making your own Radiant Splendor Supersized quilt. I'd love to see your finishes!